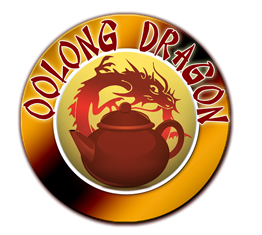 Oolong tea has been around in Taiwan for the last 200 years. Throughout history, both farmers and scientists have worked hard to develop many other varieties suitable to Taiwan’s climate and soil. Qingxin oolong is the oldest and most common variety in Taiwan’s history. Depending on where the plantations are located, Qingxin oolong variety may have small tea leaves if coming from low altitude plantations whereas the leaves from plantations in high altitudes have thick and dark leaves. Qingxin oolong is delicate and must be hand-picked rather than with machines that may cause damage. Qingxin oolong tea has a unique aroma and has made it very popular among tea drinkers. 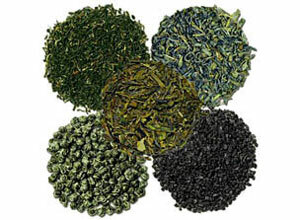 High demand for this tea has made it expensive compared to other tea varietals. Jinxuan variety, known also as Tea Number 12 among Taiwanese tea lovers, is relatively new and was developed in 1985. This tea variety is cultivated 1600 meters below sea level. The varietal is usually cultivatedin plantations situated below 1600 meters above sea level. Jinxuan type is cultivated in mountainous areas in high areas and are carefully picked by hand to produce superior Jinxuan oolong tea. The leaves can be gathered by machine without fear of damage and can produce many other varieties of tea including pouching tea, Baihao oolong tea ,Tikuanyin tea, and Jinxuan oolong tea. Jinxuan oolong tea has a milky aroma and a rich and smooth taste. Like Jinxuan tea, this varietal is new and was developed by scientists in Taiwan around 1985. Referred to as Tea Number 13 by local tea drinkers, the plantations of Cuiyu varietal can be found in low altitude areas. Cuiyuand Jinxuan varietals are alike in production capabilities and constitution. They are both suitable for harvesting by machine. Cuiyu oolong tea from the Cuiyu varietal has the scent of jasmine and is rich in flavor. Sijichun varietal became available in the tea market in 1990. It was accidentally discovered in a plantation of tea in Muzha by local farmers. Sijichun in the Chinese language is evergreen and is reflective of this varietal’s production capabilities and fast growth. Mingjian region is presently the largest grower of this varieta in Taiwan. In contrast, Tikuanyin varietal adapts badly to new conditions and has a much slower growth. They are grown mostly in Muzha and Shimen in Taiwan. Compared to other varietals, Tikuanyin tea takes longer to process and is rather more difficult..Tikuanyin tea is made from Jinxuan and Tikuanyin varietals but only tea made with Tikuanyin varietal qualifies as Zhengcong Tikuanyin. The term Baimaohou , translated from Chinese, is white fur monkey . This oolong loose tea from this type has many white buds on it from which the tern white fur monkey was derived. Baimaohou varietal is quite rare, making it more expensive compared to tea from other varietals. Also like Baimaohou ,Baihao oolong loose tea from Damanzhong varietal has many white buds. Damazhong varietal is used to produce baiaho oolong only.